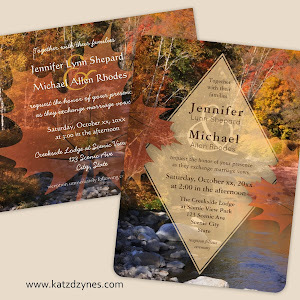 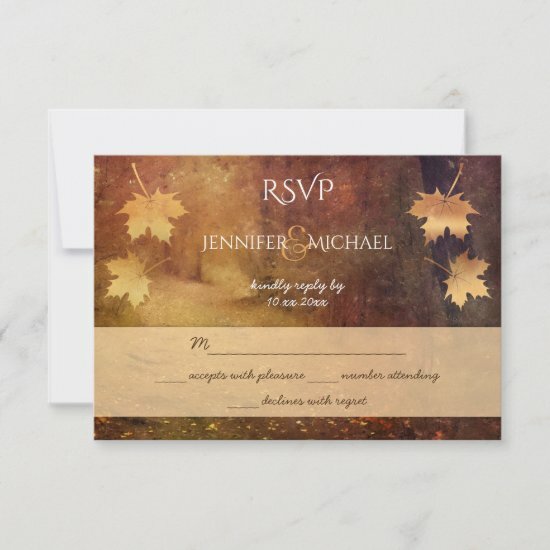 Introducing two new rustic wedding invitation collections for fall foliage lovers! 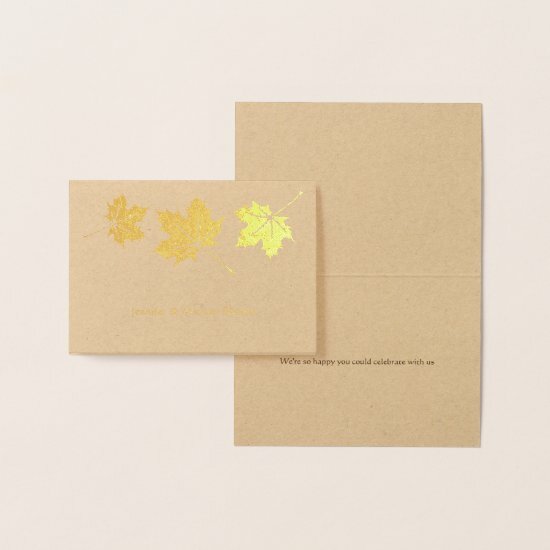 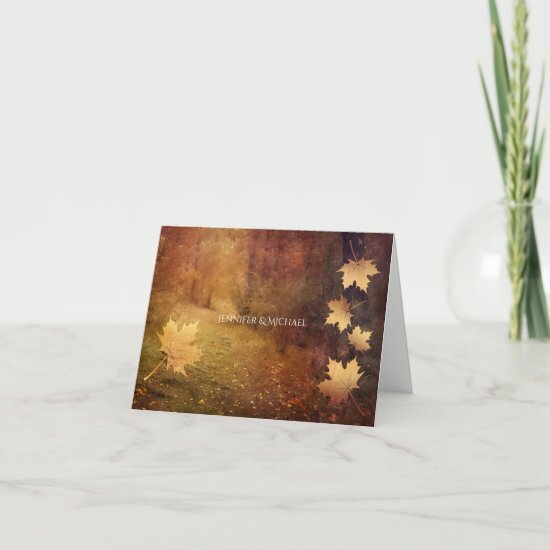 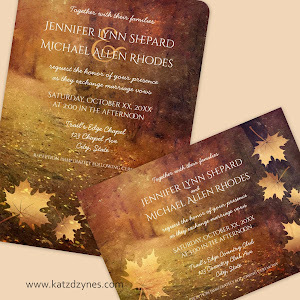 The Autumn Trail Rustic Fall Wedding collection features the image of a tranquil wooded walking path at the peak of fall color, resplendent in a stunning palette of golds and reds...choose from two design styles adorned with semitransparent golden maple leaf overlay graphics at the bottom or side edges. 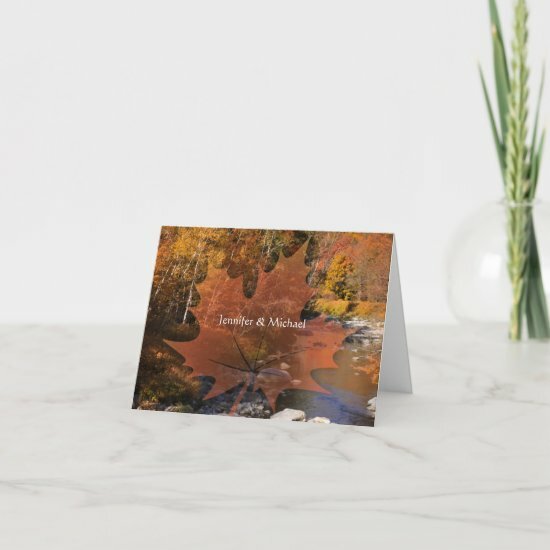 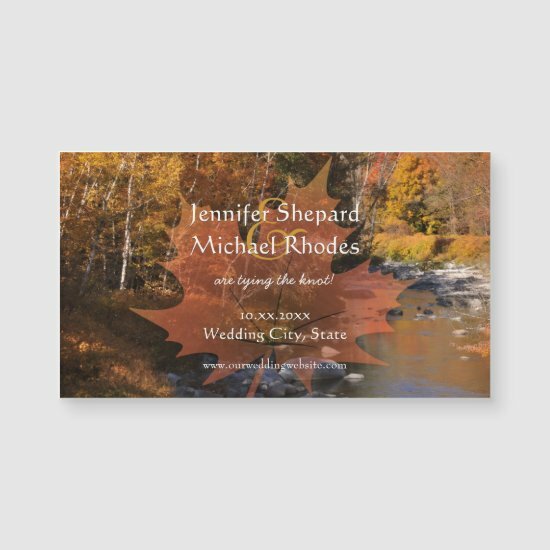 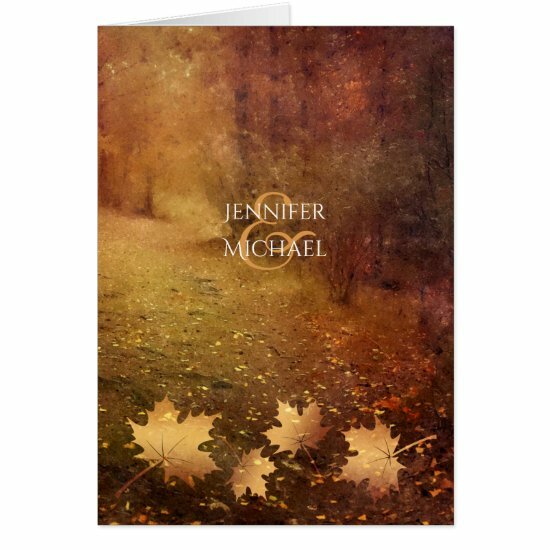 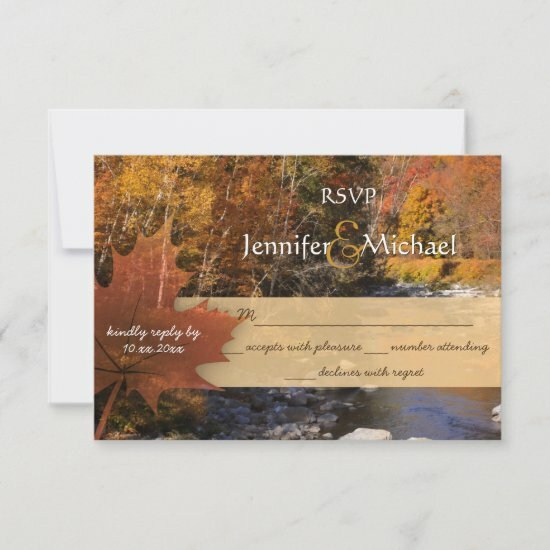 The Autumn Creek Rustic Fall Wedding collection features a rustic, colorful autumnal scene with a rocky stream in the foreground that winds through a wooded area filled with slender paper birch trees and maples showing off their glorious fall foliage in red, orange and gold...also available in two design styles--a semitransparent maple leaf overlay graphic or semitransparent diamond shape graphic with maple leaf accents provides the backdrop for your wedding details.